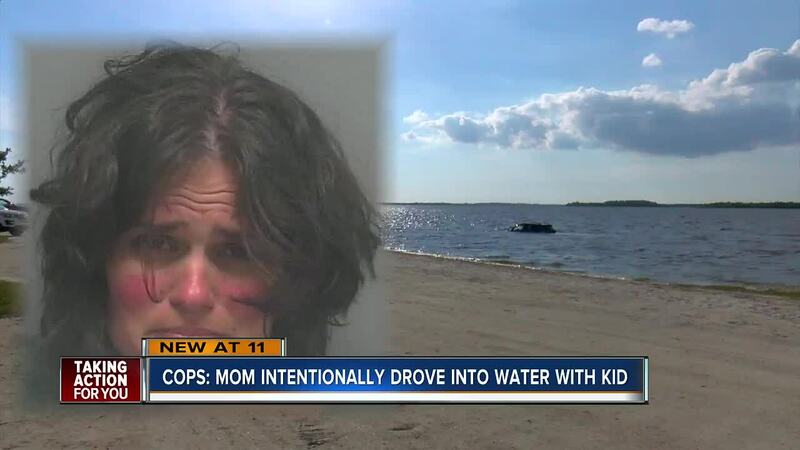 LEE COUNTY, Fla. — A Florida mother is facing several charges after deputies say she intentionally drove herself and her son off a causeway into the water. 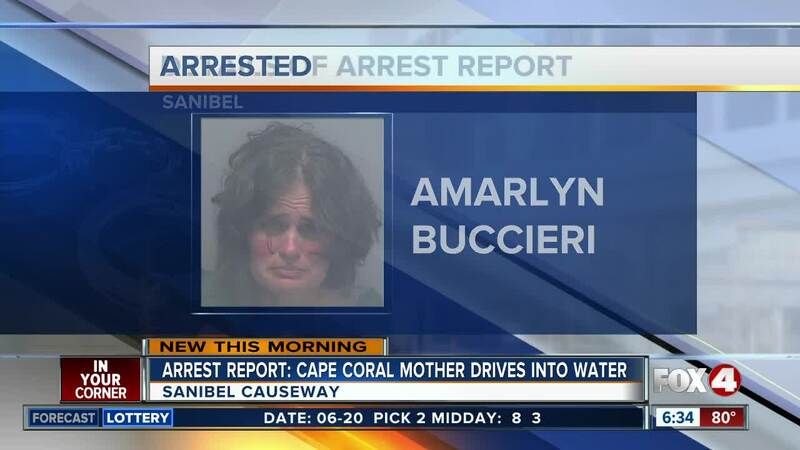 According to deputies, on Tuesday afternoon, 43-year-old Amarlyn Buccieri, of Cape Coral, drove her SUV off of the Sanibel Causeway with her son inside the vehicle. The vehicle submerged in the water about 50 feet away from the shore. According to a Lee County Sheriff's Office arrest report, Buccieri parked on the beach, stared at the water and suddenly floored the gas pedal. Deputies say her son managed to open the door before they got too deep and was able to escape. Good Samaritans reportedly rushed to help the boy. The arrest report indicates his mother then tried to drag him back into the water, but people in the area rescued him a second time. The mother has been arrested and is facing charges of child neglect, cruelty toward a child and contributing to the delinquency of a minor.